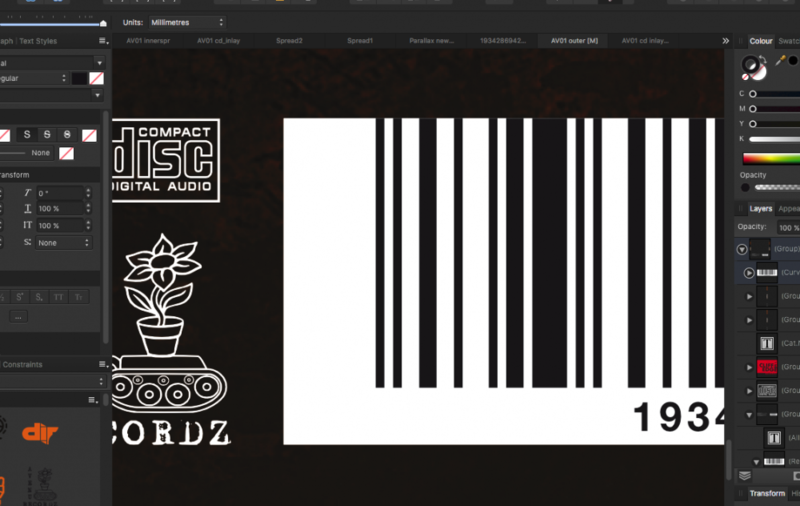 Trying to trick affinity designer do something super simple - create a pdf with a vector barcode ?????? FFS I've tried lots of tricks it's on the very top layer and placed inside a white rectangle to the usual size I've used for years - seems whatever I do it just rasterises which also antialiases it which could potentially misread - I'm using the work around which involves ditching Art boards, as yesterday I was trying to get the files off to the printers but generating PDF/x 2001a and 2004 would rasterise everything - now I know it's an Art board bug so I've set it all up as single pages which works as expected for most things but there are a few things that are simple vector info that rasterise - including the barcode - is this a another known bug - is down to vector info being placed inside a vector box = raster on output???? Did you use the more option in the export menu? There you can state what you do/don't want to rasterize. I did use your file and exported for print and as x-4 and opened the pdf files in xaradesignerpro and the barcode showed in both cases as clipped shapes. 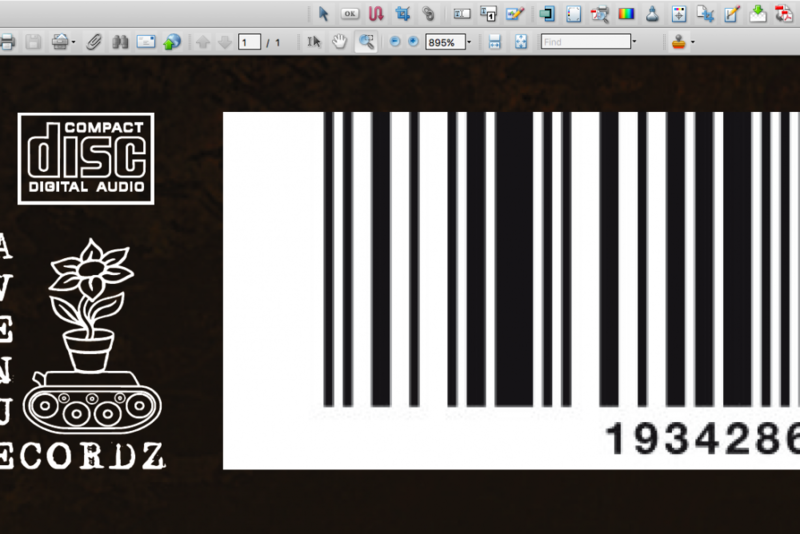 Just managed to trick Affinity into outputting a PDF/x 2001a with a vector barcode ---- it appears when the barcode is placed inside a vector container it rasterises - I've trimmed down to size and placed over the white box and it generates as vector, even grouping remains vector but if I place inside the box it rasterised - Pretty big bug if it remains un-squashed ---- I'm guessing it's somehow seeing it as a mask which you would expect to rasterise? Tested it with your TEST pdf and found if you clip the shapes with the background rectangle it will rasterize. Don't think this should but could be wrong. 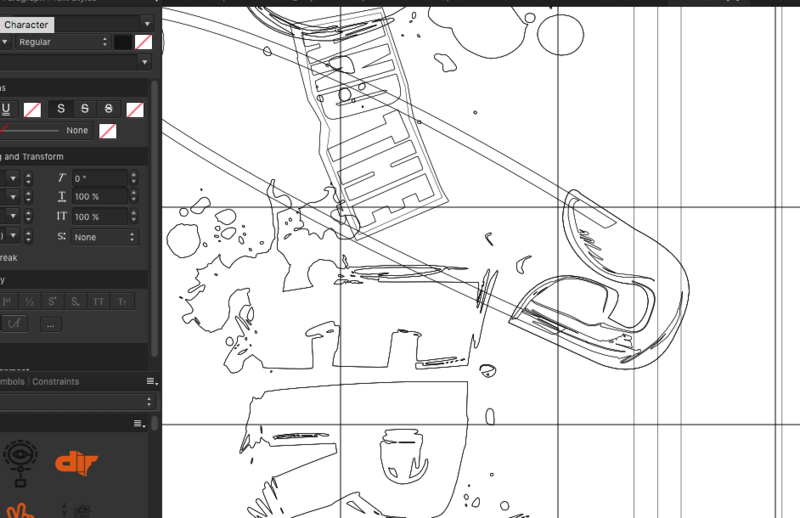 Better just group as this will work and keeps the layer panel just as organised. Everything you will have inside artboards or you have clipped inside another shape will be rasterized. This is something they are aware of and they are trying to fix it. Try to click more on the export preset and choose rasterize to nothing and see if it help. Make sure you do go to the more option and choose nothing. 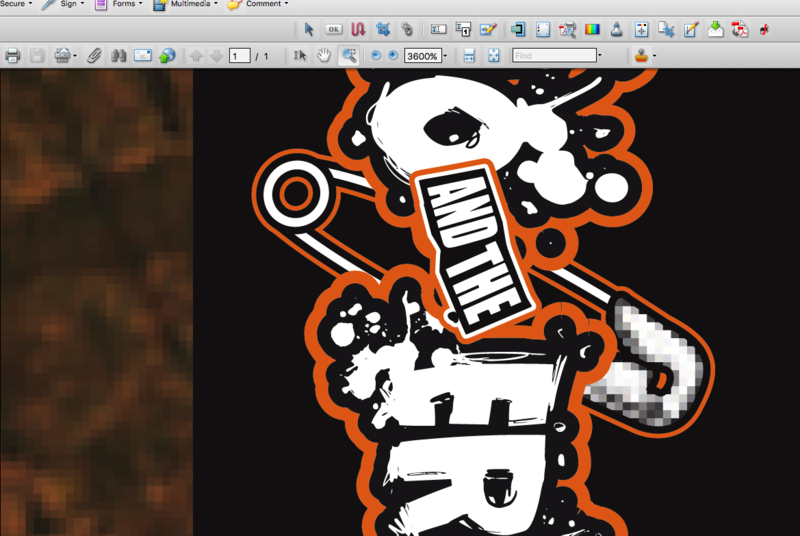 If one uses the pdf export and it states"nothing will be rasterized" next to the dpi setting it still may rasterize. So even when this is shown go to the more option and choose "nothing"
Then it will export fine,though the clip gets unclipped? When you output with rasterise set to nothing, any layer effects, transparency, blend range and colour adjustments are lost - so the work around was to group and duplicate all the raster stuff, rasterise on a new layer and output PDF with rasterise nothing which seemed to work but on checking over in Acrobat I was getting some unusual overprinting issues on vectors? I've just tried this file in 1.7.0.7 and the barcode is definitely going out with as a vector. Are you able to retry this for me and check your output? But.... yes the barcode now outputs as vectors in 1.7.0.7 - also, the safety pin that was getting rasterised now outputs as vector. Sorry for hijacking this thread, but to me not all PDF rasterization problems have been resolved in 1.7.07; while the pdf export now does put out vector graphics these get rasterized in Word, which did not happen before (exact same artboard, was not rasterized by Word after exporting as pdf with 1.7.04). Is this a known issue? Thanks! Do you have some example files you can attach please? What do you mena the PDF outputs as vector graphics, but they get rasterised by Word Is that Microsoft Word? Thanks for looking into it, Sean. 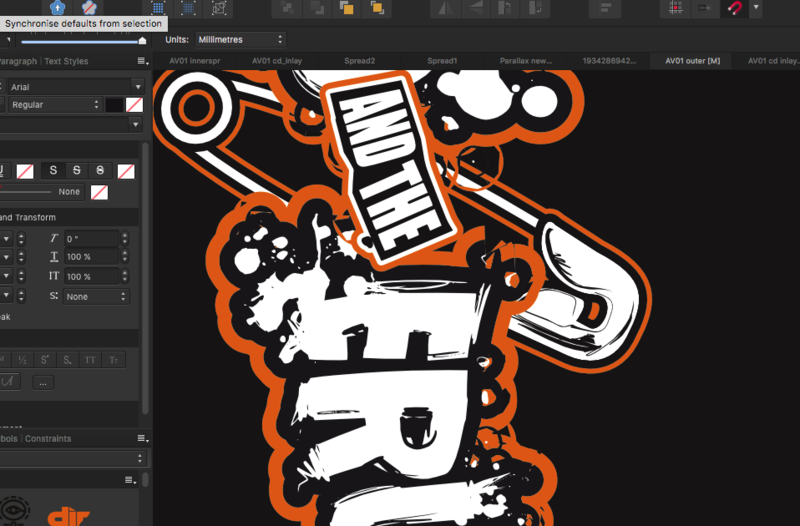 Please see the attached Designer file; when exporting the artboard as a pdf ('for export') the resulting image seems to be vectors only, but Microsoft Office rasterizes it upon placing into a Word document. This does not happen when removing the embedded file. Even removing the artboard still causes the issue in Word. However removing either the Embedded Document or the Transparency in the document will cause the export to place without the rasterisation in Word. I replicated the document layout in 1.7.0.4 and that is giving the same results as 1.7.0.7. As the PDF is going out as vector (verified in Acrobat) I would contact Microsoft about this issue. Thanks everyone; it makes sense that probably Word is to blame, but it is somewhat strange that this issue did not occur with AD 1.6. Thanks again!